Sitting down for authentic Mexican food is a true treat. Fortunately for those in Connecticut (or those just visiting), there are numerous restaurants serving both traditional and modern fare. Nothing else will sate a hungry appetite than a heaping, cheesy bite of enchiladas verde or succulent tamales. Here are the 9 best Mexican restaurants in the state. Joy’s Mexican food is impressive, hearty, and flavorful. The menu is packed with traditional favorites like fajitas, enchiladas, and tortas, but the stand out is really their tamales. The tamales are perfectly cooked, savory, and super affordable at under $3 each. Joy’s also serves breakfast, typical American dishes such as sandwiches, burgers, and salad, and more. Do be sure to dine at Joy’s Restaurant. From the super casual to the fancier, Milagro’s is easily spotted from its bright blue building along Stonington Borough’s main street (Water Street). Milagro’s serves a small menu packed with mouthwatering Mexican dishes. Sample the delicious sopa tortilla, mole poblano, or enchiladas verdes. The mole sauce at Milagro’s is really a star flavor. This bright restaurant offers home-style Mexican food. The small menu at Rincon Taqueria features tacos, empanadas, tamales, rice and bean dishes, and huevos rancheros. Do pay them a visit to select your favorite Mexican meal and you’ll certainly be pleased with the generous portion sizes. The mouthwatering Mexican food at Sayulita features unique flavor combinations throughout the menu. For example, the pork carnitas empanada comes with pickled vegetables and the citrus braised pork belly features truffle scented apple and jicama slaw. Other menu highlights include adobo rubbed hanger steak, lobster enchiladas, and crispy coconut cauliflower. The concept at El Segundo is global street food served in small-ish bites so that diners can savor dishes from all over the world. 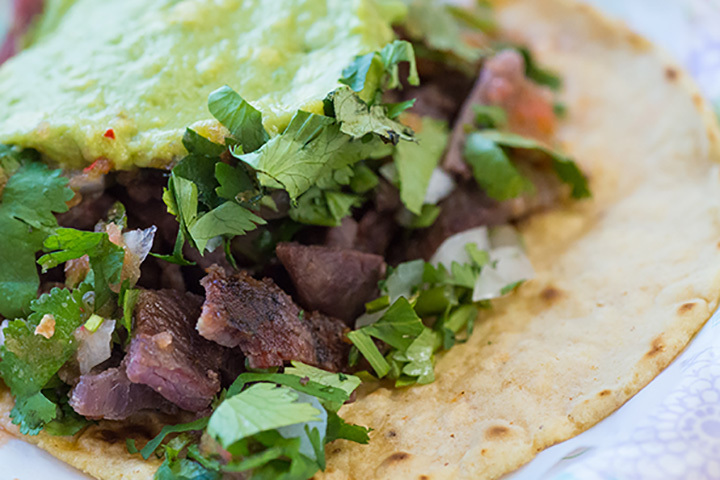 While El Segundo doesn’t only serve Mexican dishes, they do have several delicious Mexican bites on the menu. Mexican options include tacos al pastor, elotes (grilled corn on the cob with aioli cheese, and chili powder—yum), and perros calientes, which is a bacon wrapped all beef hot dog topped with onion, jalapeno, and tomato chutney. El Paso has been a Connecticut favorite for years, because of its extensive menu of Mexican dishes. The chile relleno, Oaxaca enchiladas, chalupas, and traditional soups are top menu items. They also offer vegetarian dishes, several types of tacos, and Mexican seafood meals. For dessert, opt for coconut flan or crispy churros with chocolate dipping sauce. This home-style Mexican restaurant serves up perhaps the best enchiladas verde with chicken in this part of the state and comes with a crunchy salad, rice, and a generous helping of refried beans. For something a little bit sweeter and richer, the enchiladas de mole is the perfect option. They also serve delicious Mexican soups for something lighter yet still flavorful. This family-friendly restaurant has been a local favorite for ages due to their large portions, tasty food, and frequent specials. On Saturdays, they even offer a “kids eat free” deal to make everything even more affordable and fun. If you are dining without children, the upstairs bar or outdoor patio is a great place to enjoy drinks while munching on freshly made chips and salsa. If you and your friends are interested in trying numerous Mexican dishes at affordable prices in a casual atmosphere, head to the Long Wharf Food Trucks by I-95. Here you’ll find IXTAPA, which serves great chips with pica de gallo and carne asada tacos. Follow up those delicious treats with some tacos from the Mexcalli Black Truck.